Ever hear of the Spratly Islands? If you haven’t, don’t feel too bad. They are a group of small islets, coral reefs, cays, sandbars and exposed rocks in the bottom half of the South China Sea. They are located in a large area off The Philippines and Malaysia, with shallow banks and sea mounts teeming with life, and evidence of oil deposits below. Seafarers know it as “The Dangerous Ground” with numerous shoals that have claimed many a wayward vessel over the millennia. In addition to The Philippines and Malaysia, the Spratly’s are claimed by Brunei, Taiwan, Vietnam and one significant country some 500 miles to the north, The People’s Republic of China. Not only does the PRC claim the Spratly group, it claims the entire South China Sea, from Taiwan down to the Sunda Shelf north of Singapore, from Vietnam in the west to the PI’s Palawan Island in the east. To put this in perspective, lets think of the South China Sea as equivalent to the United States east of the Mississippi River. Using this example, China claims from the Canadian border with Maine to Atlanta, over to Jackson, MS, then up to Chicago. According to international law, in this example China is entitled to only 12 miles south of Canada, granting it greater Buffalo, Erie, and Detroit. That’s it. In 1947, even before the PRC had defeated the Nationalists, future Prime Minister Zhou Enlai drew a nine-dash line which is viewed as the historical background of PRC claims of the vast SCS. China was impoverished and unable to back this claim, which was ignored by the West anyway as absurd. But the People’s Republic, suspicious of the West and under no obligation to assert their claims, didn’t give it a second thought. In 1996 an incident occurred off Taiwan that in my view is quite similar to the Cuban Missile Crisis. The PRC fired missiles near Taiwan when Taiwan flexed its political muscles. The United States sent the carriers Independence and Nimitz to waters off Taiwan to send a signal of resolve. The Peoples Liberation Army Navy was then a coastal patrol force and in no position to confront the U.S Navy off their shores. The PRC backed down, as the Soviet Union did in 1962 when faced with the American blockade of Cuba, turning their ships around. The Soviets then embarked on constructing a blue-water navy that by the 1970’s was a peer competitor to the U.S. fleet. In much the same manner China, on the cusp of an economic boom the world had not seen since the rise of the industrial United States some 100 years earlier, set out to build a blue-water navy to control not only their “near seas” such as the SCS, but one that today is deployed to the Horn of Africa and the Seychelles in order to secure the “Road” in China’s Belt-and-Road economic initiative. Regional powers that claim the Spratly group – and the Paracels and Scarborough Shoal – have built up austere “outposts” to cement their claims. However, in recent years the PRC, seeking no one’s permission and for the most part ignored by the wider world, have built significant installations in the Spratly’s, installations with deep-water ports and runways capable of operating all manner of aircraft, the so-called Great Wall of Sand. In the 19th century the United States built Fort Jefferson in the Dry Tortugas off Key West, on a beautiful and pristine cay set on a turquoise sea. This is unthinkable today. While we have the technology to build, gathering the political will to do so in the face of strident environmental objections is just this side of impossible. Not so for today’s China. The Spratly Islands are no less pristine and unspoiled, and are vital fishing grounds for countries that neighbor them, but China – in a matter of months – has poured dredge sand on coral reefs and built islands capable of supporting thousands of people and runways of 9,000 feet in length. A giant B-52 bomber could land safely on such a runway, and the fact that the pristine coral reef is destroyed is of no consequence. The PRC has the political will, and the usually strident protests of global environmentalists are meek compared to transgressions they find elsewhere in the world, none of which are on the scale of a newly-constructed Spratly outpost. The People’s Republic ignores what meager protests are lodged, considering the waters their own, their “blue-territory.” China does not feel pressure to allow anyone use of waters it considers theirs. The West cannot understand this, but that’s the situation today. China wants to control trade in its near seas, and considers the fish under the surface and resources under the seabed as exclusively theirs. Still not familiar with the Spratlys? I believe that Chinese schoolchildren are. Enter the United States Navy. Our Navy is the guarantor of free trade on the worlds oceans, and has been since 1945. China is a huge beneficiary of this trade, but now that they have built their own fleet up into a legitimate blue-water force, it is taking great control of international waters on its periphery that the rest of the world considers international. Today there is big-time tension in the South China Sea, and a careless spark can ignite it. This is my premise for Fight Fight. Set today, such a spark occurs. Pol-Mil denizens around the world consider such a conflict to be inevitable, much the way the U.S. Navy and Imperial Japanese Navy viewed each other in the early 1930’s. How will a modern Air-Sea battle be fought there today, and who will fight it? Is it inevitable? 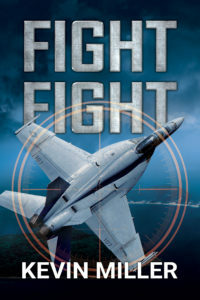 My interest in writing my novels is to explore how the human beings at the tips of both – both – national spears deal with combat in support of national tasking. Such a battle will be fought with missiles – right? How will the expected loss of communications and navigation satellites affect them? The Western Pacific puts the “T” and “D” in Tyranny of Distance, and ships must steam for days and aircraft need in-flight refueling – there and back – to transit vast open-ocean expanses. How will the humans on both sides deal with these challenges? I’m in good company. Techno-thriller authors of great and lesser renown are publishing their novels of how this notional fight will occur, from cyber to kinetic. For research I spoke with subject matter experts from four-stars to two stripes, read about the geopolitics of the region and social construct of China, read their history, and imagined being inside their ships and aircraft and living on their outposts. My memories of time spent on flight decks and inside cockpits are vivid, and just sitting quietly thinking “what if?” is what techno-thrillers are made of. Another benefit of novels such as ours is to inform. I could point out the reference materials I used for this novel, but how many readers would read them? Always greater than the sum of the research materials, a novel allows the writer to bring the reader into the world, into the minds of the characters dealing with the man vs. man/machine/nature conflicts in a way that entertains and resonates with the reader, whether familiar or unfamiliar with the subject. 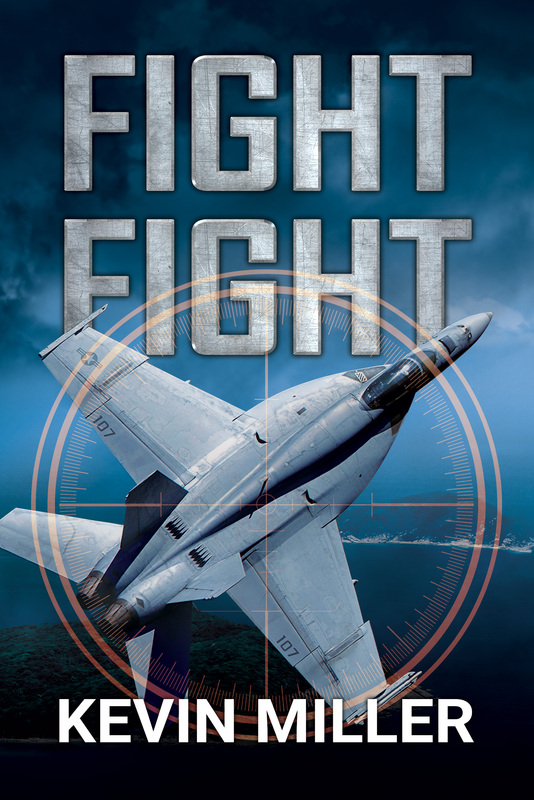 After reading Fight Fight you’ll have a feel for the South China Sea and todays geopolitical challenges. Fiction has it’s place, as do war games…and sitting quietly. Fight Fight, like my others, has what a friend calls a “leadership challenge” that involves one of the seven deadly sins. Each of my novels have subplots centered around our human flaws, and those flaws when placed under the pressures of combat can, well, you be the judge. I’ve never been to the “Far East” but found my study and the experience of writing this novel fascinating. After Fight Fight was complete, then edited by Linda and tweaked by Jeff, I said wow. Hope you do too, and enjoy this fictional story about what could happen on The Dangerous Ground this autumn of 2018. Ordered it this week on Amazon. Can’t wait to read it! Loved the first two and expect this one to be just as riveting.